We have been wonderfully busy over the last couple of months! From the opening of Watfords sensational Sensory Room we have had lots of contact with Experia including a wonderful meet up with Gareth Jones, Managing Director. Experia are the company who have been chosen to work in the partnership between BT, The Premier League, Lords Taverners and our good selves, The Shippey Campaign. We first encountered Experia and their products during our charity launch at the Beyond Sport conference, where their products were on display, allowing personnel from stadia around the world to see demonstrations of some amazing equipment. Next came Watfords room, and Experias first installation from the partnership. And what an installation it was. The equipment is harboured in a sensory ‘hub’and is a wonderful haven of serenity. 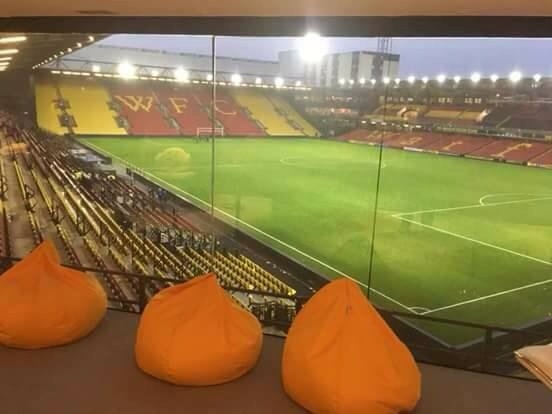 We are working with another club who are progressing nicely with Experia in creating a sensory room at their stadium…watch this space for more delightful sensory environments at a club near you!